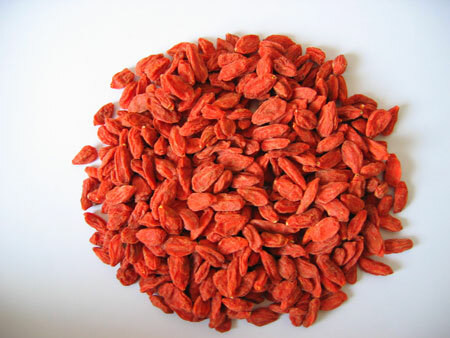 Business Description: Goji (Lycium Barbarum) is a fruit found in Tibet, called goji the fruit of youth. They taste sour to sweet, they are red and small, like dogberries. Researchers in the field of medicinal plants say that this fruit is rich in antioxidants. Besides this, the goji fruit are rich in iron, magnesium, potassium, copper, calcium, vitamin C, B6, B1, B2, E, alpha-linolenic and linoleic acids, carotenoids. For an amount of 100g of goji fruit, they have: 370kcal, 12% protein, 10% fat, 10% fiber, 68% carbohydrate. For the health goji is highly effective, the most important effects of goji fruit are: immune system, reduce the effects of aging, improve serious illnesses, the toning of the body, improving fertility, diets, reduce cellulite, lowering cholesterol, strengthens bones and muscles, help improve vision and eye health, stimulate blood circulation and regeneration, very effective for treating liver diseases, heart health. The goji plant is very resistant to temperature and climate changes, it is an adaptable plant, so it can be grown in many areas and on different types of soil. Growing goji can be done by seeds or cuttings. Light is very important for the health of the plant and productivity, so one will choose an area of ​​land to enjoy abundant light. Businesses with goji fruit are very productive, for one plant that is at least five years old, you get a harvest of 2-2.5 kg goji / year. Keeping in mind the plant productivity we can say that they can get significant profits because the prices for goji are 25 euro / kg. In a garden with thousands of mature plants there can be obtained impressive annual profits. From Goji you can get different types of products such as goji juice, goji bars, peel jam, tea, but can sell dried or fresh. Goji can be consumed and marketed in different forms such as jams, goji bar, juices, teas, fresh, dried. Conclusion: Goji is a very healthy plant and due to its resistance, it can be planted in many countries adapting to different types of climate. In the long run, a plantation of goji can bring significant annual profits. 0 Response to "Business Ideas: Goji"